Corporate venture capital is booming globally. In the first quarter of this year, venture capital funds accounted for nearly 17% of the total venture capital dollars invested, more than double its share five years ago. In aggregate, corporate venture groups invested $5.4 billion across 775 deals last year. Angel investment too is booming worldwide. More than 90% of the early-stage investments in Europe come from angel investor capital. The angel investment market size is more than 5.7 billion Euro in Europe and more than 20 billion USD in the US and Canada. The total size of the world’s early-stage investment market is expected to exceed 50 billion dollars in 2020. SMEs, entrepreneurs and start-ups: OECD reports show that more than 96% of the world economy is driven by SMEs, entrepreneurs and start-ups. Many governments have understood the importance of the early-stage investment market in the creation of new jobs and social justice for their countries and have therefore implemented new regulations that provide tax incentives for angel investors, corporate ventures and start-ups. As a global organisation, the World Business Angels Investment Forum 2017 is bringing key players of the equity market together to debate the benefits and challenges for the angel investment community in achieving successful growth for their businesses and to discuss what more can be done to connect the early-stage market ecosystem. Ülkemizin anayasal düzenine karşı yapılan hain darbe girişimini şiddetle kınıyoruz. Bu paralel kalkışmayı hezimete uğratan başta Cumhurbaşkanımız, Başbakanımız ve TBMM Üyelerimiz, güvenlik kuvvetlerimiz ve canları pahasına demokrasinin yanında yer alan aziz milletimize şükranlarımızı sunuyoruz. Demokrasi için ve bu vatan için canını feda eden tüm şehitlerimize Yüce Allah’tan rahmet, ailelerine sabırlar diliyoruz. Bizler, ülkemizdeki bu birlik ve beraberlikten aldığımız güçle girişimciliğin gelişmesi ve ülkemiz için daha fazla istihdam üretilmesi yönündeki çalışmalarımıza daha da hız vereceğiz. Üzerimize düşen katkıyı hem Türkiye’de hem de dünyada daha da fazlasıyla ortaya koymaya devam edeceğiz. Tüm girişimcilerimize, melek yatırımcılarımıza, ve tüm Türkiye’ye geçmiş olsun. I want to join the other in congratulating you on an AMAZING event! You and the Turkish business investment community hosted the world in a very gracious and enjoyable way. The attendance by hundreds of investors, corporate representatives and international organisations was impressive. The speaker presentations and panel discussions on such a wide range of Business Angel Investment issues were really informative. The Grand Tarabya venue with all the branding was visually stimulating. 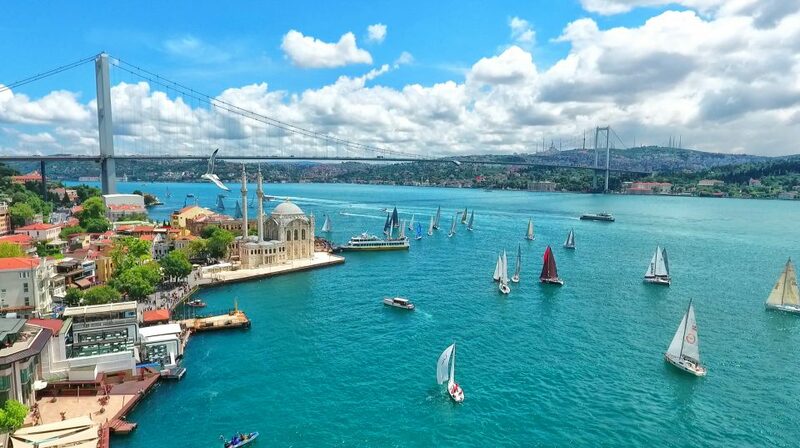 The trips – on the Bosphorus, to the Borsa and Teknik) were each fascinating in different ways as windows into the Turkish world of life and business. I will leave out the dinner and the belly dancer for obvious reasons…. The centrefold in the Daily Sabah highlighting the WBAF2016 with EBAN, MBAN, ABAN & TBAA was great PR for all. I will take away with me for always the ringing of the opening bell at the Borso! Thank you for one of the most memorable conference experiences I have ever had as a business angel. What else can I still say? It was indeed a super stupendous event, with top level speakers, government representatives, several ministers from several countries, president of Croatia, EU representatives, US representatives including US ambassador of EU, corporations, JCI, chamber of commerce international, WEF, all together 50 countries represented, angel investors, BAN’s, seed funds, entrepreneurs, fabulous signing ceremonies, media, flash lights, entertaining music, big crowd of 400 and …. hosted in one of the top hotels in Europe! First, I would like to congratulate you on the amazing event you organised and hosted in Istanbul. It was a real pleasure to be a part of that crowd, and, because of the contacts I made there, I think that, in the last 2 days I’m experiencing the true power of networking. Thank you for the opportunity to be there and to pitch. I’ve got some amazing feedbacks and some new doors are opening for me in this moment. But more than anything, THANK YOU for the award nomination for Professor Balthazar. Not only because it’s a great project, but because You’ve recognised my beautiful Renata and her passion about everything she does. She is my friend and a mentor in many things in life and I know how much this means to her. I hope we will meet soon! I wish you all the best! Representing a country with flourishing entrepreneurial ecosystem, Greece, which struggles to survive through a nonexisting governmental and authorities support, the role of angel investors is now a days even more important than ever. Inspiration and alternative paths of support, is what a local player, as my self, really needs. 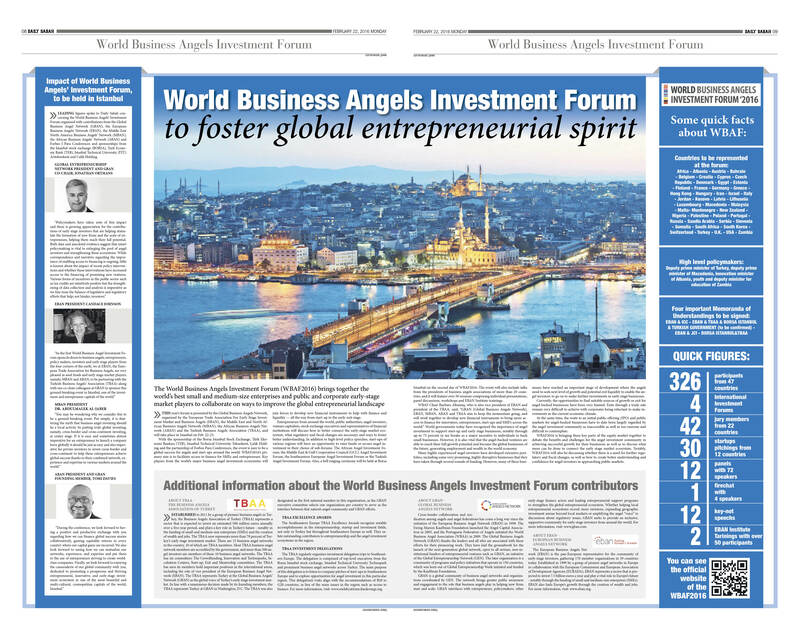 On February 22 – 23, I attended the “World Business Angels Investment Forum”, in Istanbul, presented by GBAN and organized by EBAN, MBAN, ABAN and TBAA. In other words, I was lucky enough to find myself among the members of a global business angels community! Growth minded people, ready to share their experiences and eager enough to generously offer their advices. Born entrepreneurs, global informal investors by definition! Critical issues came up during forum’s presentations: Governments’ tax break role, the need for faster exits, as a liquidity tool, and the route to IPO and public markets for angel – backed businesses were among the major themes that came up. In addition, special regional sessions, as well as, an in depth discussion regarding the future of the early stage investment market triggered the role of informal equity investors in the economic crisis era we are going through. Brainstorming, practical issues and execution are what I’ve got back in Greece. In a nut shell: leave business angels to do the work! Their mentoring, coaching and financing charismas are well enough in order to find the way! Last but not least, a big “thank you” to the Chair of World Business Angels Investment Forum, Vice President of EBAN and President of TBAA, Baybars Altuntas, as well as, to the whole team, for the excellent event preparation, the warm hospitality, and needless to say, their spirit! Thank you all! Thank you Istanbul! I was not surprise that I am be well treated in your hands. It was a very successful forum with great outcomes for a greater impact on entrepreneurship around the world. I got useful informations, connections and tips to better serve my country and beyond. It was one of the best organized event I have seen in my life. Baybars, thank you for an opportunity being part o it and for this experience. Right now being inspired by Borsa Istanbul Privet Market initiative I am in the middle of an email to our Ministry of Development recommending to copy this initiative into polish market :). So hopefully we would be able to show another real result of WBAIF soon. I would like to congratulate you on a great event. It was superbly attended with very high profile speakers, branding was really excellent and we all know anything that runs that well takes a huge amount of hard work over a long period of time to make it a success. The WBAF2016 with EBAN, MBAN, ABAN & TBAA centrefold reflected very well on the EBAN family. I have been to many investor forums around the world in the last year and WBAF was clearly differentiated itself due to i) its rich content, ii) exquisite participants and iii) immediately actionable results. I am very proud of the accomplishments of WBAF not only the outcomes that it brings to the small business investment community but also the leverage of my home country logistics. There are variety of commercial and financial developments that we have been going through in Massive Bio both in Turkey and US and I am confident that we will announce tangible results soon. I would like to reiterate my sincere thanks and remind that I would be more than happy to be a bridge to Turkish start-ups in US; please don’t hesitate to see me as an extension to your team in Turkey. As the chair of the World Business Angels Investment Forum 2016, it is a great pleasure to invite you to attend this year’s event, presented by the Global Business Angels Network and organised by EBAN (The European Trade Association For Early Stage Investment Market and Business Angels), MBAN (The MENA Business Angels Network), ABAN (The African Business Angels Network) and TBAA (The Turkish Business Angels Association). The Forum will bring together the best small and medium-sized enterprises (SMEs) from around the world, public authorities, angel investors, venture capitalists, executives of stock exchanges, and representatives of institutions that work to facilitate entrepreneurs’ access to finance, with the aim of taking measures that will facilitate entrepreneurs’ access to finance from start-up to the early exit phase. Important players from the world’s major business angel investment ecosystems will join forces at this event to develop new financial instruments that will create more finance and liquidity for entrepreneurs, SMEs, innovators and start-ups. Good news for Business Angels! The Forum will also provide an opportunity for you to see some of the best startups of the region. Our forum is ending on Tuesday, and you may like to get a 5o-minute flight to Antalya for the biggest startup showcase of Turkey: Startup Turkey. It would be perfect to combine the World Business Angels Investment Forum with the Startup Turkey event on your itinerary. Jonathan Ortmans, Founder and Co-chair of the Global Business Angel Network (GBAN), President of the Global Entrepreneurship Network (GEN) and Kauffman Foundation Senior Fellow, who will deliver a keynote speech on the future trends of angel investment and the global entrepreneurial ecosystem. Anthony Gardner, US Ambassador the European Union, who will give a speech comparing the US and EU entrepreneurial and early stage investment markets. Mehmet Simsek, Deputy Prime Minister of Turkey, who will outline Turkey’s engagements and action plans for the global entrepreneurial trends. Presidents of business angels associations of more than 20 countries. I will keep you updated as confirmations from other global speakers arrive. I would like to express our appreciation to the main sponsors of the Forum (Borsa Istanbul, TEB Bank and ITU Teknokent) and to our local partner (Forbes I Para Conferences), whose contributions will help ensure that this intercontinental forum becomes a global success story for the business angels and startups around the world. Keep the dates! Register now! Please visit the official website of the Forum www.wbaf2016.org to learn more about the more than 50 speakers, panel discussions, workshops and EBAN Institute trainings, all included in the forum. Please keep the dates in your agenda and aim to take advantage of the early-bird registration. I will be delighted to welcome you to Istanbul for this special event on the 21st of February in the city where two continents meet! We would like to share some very good news with you. 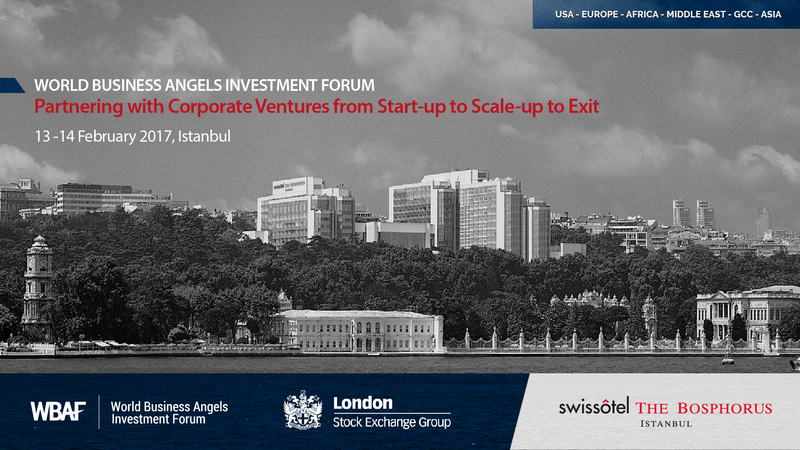 The TBAA – Business Angels Association of Turkey — will host Invest Horizon’s Investment Forum in Istanbul on 7 September 2015, with the Istanbul Technical University Technopark as the venue. This is a European Union-supported project and for the first time it is being held in Turkey, in co-operation with EBAN. More than 30 business angels from Turkey and other countries will listen to start-up pitches and will make investment offers to those entrepreneurs whose business ideas they are interested in. Registration is totally free and a box lunch and coffee breaks will be provided. You will be coached in the morning on better pitching techniques. Among the coaches are Ferruh Gurtas, Intel’s Regional Director, Kenan Colpan, the CEO of the Istanbul Technical University Technopark, Sertac Fuad Karaagaoglu, Group Director of Istanbul Stock Exchange , Recep Bildik, Director of Private Market, Borsa Istanbul. Note to applicants from outside Turkey: You are strongly advised to apply before August 31. You will be notified of the decision on your application by phone on 1 or 2 September so as to allow sufficient time to arrange flights and accommodation prior to the event. Start-ups in Turkey can apply until the end of the day on 6 September. If you are looking for new opportunities and smart entrepreneurs for your portfolio, this is a great event for you. Please send me an email at baltuntas@deulcom.com.tr if you would like to listen to some of the latest business ideas. 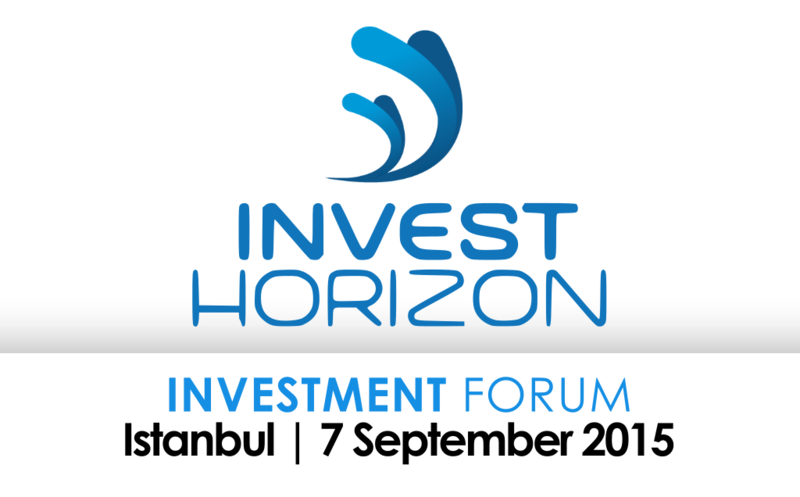 We look forward to seeing you in Istanbul on 7 September at the Invest Horizon Investment Forum. *InvestHorizon is a programme designed to increase investments made in Innovative European SMEs through Investment Readiness development and Investor sensitization. This project has been funded with support from the European Commission. (Istanbul)– Altuntas of Turkey has been invited by the President Obama to give a speech at the Global Entrepreneurship Summit in Kenya. The White House extended the invitation of President Obama to Baybars Altuntas last week. Altuntas was one of the invitees of President Obama in 2010 in the first GES in Washington DC. He was given a personal audience by President Obama before the summit started. Altuntas has been recognized by the European Trade Association of Business Angels (EBAN) and received the Best Individual in Europe Globally Engaging with the World Entrepreneurial Ecosystem award in both 2014 and 2015. Altuntas is the Vice President of EBAN, President of TBAA – The Turkish Trade Association for Business Angels & Early Stage Market Players and Ambassador of the World Entrepreneurship Forum to Turkey & South East Europe. Launched by President Obama in 2009, GES brings together entrepreneurs and investors from across Africa and around the world annually to showcase innovative projects, exchange new ideas, and help spur economic opportunity. The 2015 GES agenda will focus on generating new investments for entrepreneurs, with a particular focus on women and youth. Since 2009, GES has emerged as a global platform connecting emerging entrepreneurs with leaders from business, international organizations, and governments looking to support them. This is the first time GES will take place in sub-Saharan Africa. Baybars Altuntas is a global entrepreneur, best-selling author, angel investor, columnist, star of the Turkish version of the television show Dragons’ Den, President of the TBAA – Business Angels Association of Turkey, President of Deulcom International, Vice President of the European Trade Association for Business Angels, Seed Funds, and other Early Stage Market Players (EBAN), and the World Entrepreneurship Forum’s Ambassador to Turkey and South East Europe. He has been recognized by the European Trade Association of Business Angels (EBAN) and received the Best Individual in Europe Globally Engaging with the World Entrepreneurial Ecosystem award in both 2014 and 2015.He is the Ambassador of the World Entrepreneurship Forum to Turkey & South East Europe. He was interviewed by CNN International about the GES after his meeting with President Obama in 2010. 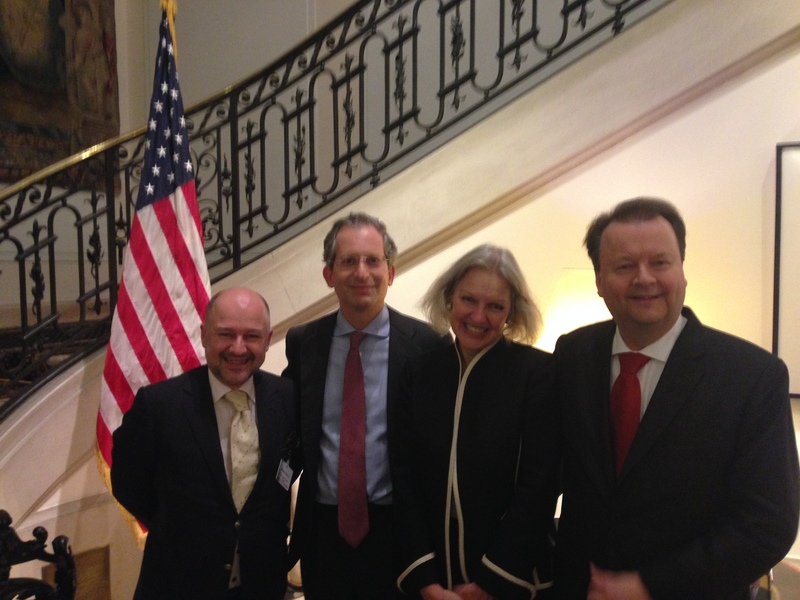 On the 5th of May, Baybars Altuntas, TBAA President was invited to participate in a panel and dinner discussion by Anthony Luzzatto Gardner, US Ambassador to the EU in Brussels — all organised in cooperation with The European Trade Association for Early Stage Market Players (EBAN). 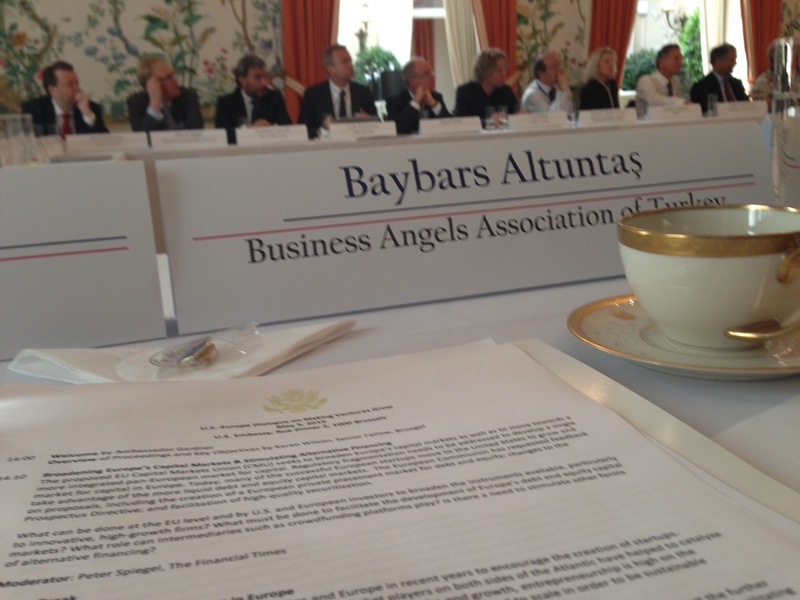 The programme focused on a US-Europe Dialogue on Making Ventures Grow. Ambassador Gardner hosted 50 high-level policymakers, academicians, business Angels, VCs, accelerators, and representatives from stock exchanges and non-profit organisations from the both the US and the EU. Among the invitees were the Vice President of the European Commission, Executives of the Eurochambers, EBAN Vice Presidents, EVCA Executives, the President of the Business Angels Association of Turkey, the President of the DG Internal Market, Industry, Entrepreneurship, and SME Executives of the European Commission, Members of the European Parliament, Editors of the Wall Street Journal and the Financial Times, the European Crowdfunding Network’s President, the CEO of the London Stock Exchange, the Director of the Istanbul Stock Exchange Private Market, Executives of Google Ventures, Former Vice Presidents of the European Commission, Executives of the National Institute of Standards and Technology, Executives of Microsoft, the CEO of the Global Accelerators Network, Executives of Cisco, Executives of EIF – European Investment Fund, the CEO of the European Business & Innovation Centre Network, the Director of the Association for Financial Markets in Europe, and the CEO of the New York Angels. Following two intensive panels on broadening Europe’s capital markets and stimulating alternative financing & facilitating the growth of Ventures in Europe, discussions continued over dinner with rapporteurs at each table; TBAA President was the rapporteur for the table 6. The proposed EU Capital Markets Union (CMU) seeks to broaden Europe’s capital markets as well as to move towards a more integrated pan-European market for capital. Regulatory fragmentation needs to be addressed to develop a single market for capital in Europe. Today, many of the successful European start-ups move to the United States to grow and take advantage of the more liquid debt and equity capital markets. The European Commission has requested feedback on proposals, including the creation of a European private placement market for debt and equity, changes to the Prospectus Directive, and facilitation of high-quality securitization. What can be done at the EU level and by US and European investors to broaden the instruments available, particularly to innovative, high-growth firms? What must be done to facilitate the development of Europe’s debt and equity capital markets? What role can intermediaries such as crowdfunding platforms play? Is there a need to stimulate other forms of alternative financing? Much effort has been made in the United States and Europe in recent years to encourage the creation of start-ups. Incubators, accelerators, seed funds and early-stage market players on both sides of the Atlantic have helped to catalyse a stronger entrepreneurial culture. With Europe’s priority being jobs and growth, entrepreneurship is high on the agenda. Young, innovative firms are significant job creators, but ventures need to scale in order to be sustainable engines of growth. What can be done to support the scaling of start-ups and innovative, young firms? How can the EU support the further development of venture capital and angel investment? What role can US and European corporations play in facilitating the creation and scaling of start-ups? What can be done to boost the flow of institutional investment into venture capital? What might be the implications of the Digital Single Market on facilitating financing and growth of firms? After the panels, Karen Wilson, Senior Fellow of Brueghel, gave a summary of the discussions followed by a presentation by Jyri Katainen, European Commission Vice President for Jobs, Growth, Investment and Competitiveness. After a short cocktail, we discussed the findings of the panel discussions over dinner. The closing remarks of the event were made by Ambassador Gardner and the rapporteurs. Here we will share with you the letter our table decided to write to the EU. Please start supporting entrepreneurship actively instead of simply talking about it. Please recruit commissioners in Brussels who have experience starting and failing in businesses. Please bring better tax incentives for angel investors. Please make equity investment simple. Please move from grants to equity and share the risk. Please create a favourable ecosystem for start-ups. Please trust more in Europe and go for a more European approach. Please become positive and develop your communication skills. Please, in order to foster the entrepreneurship and investment ecosystem in Europe, resolve the EU membership issue of Turkey. The European Commission’s recently-announced Investment Plan for Europe. The European Commission’s Green Paper on building a Capital Markets Union. A European Commission staff working document with initial reflections on the obstacles to the development of deep and integrated EU capital markets. The European Commission’s consultation document on the review of the Prospectus Directive. The European Commission’s Communication on Crowdfunding.